Caterham Championship 2012: Top team results for DPR following the Superlight R300 round at Oulton Park. Following round two of the Superlight R300 championship at Oulton Park, DPR reinforced their hold on the team championship by scoring maximum team points with the 1st & 2nd results gained by DPR drivers Paul Wilson & Mark Shaw. With Mark Shaw also setting the fastest laps in each race, a team points maximum was achieved; a first in the history of the R300 championship. 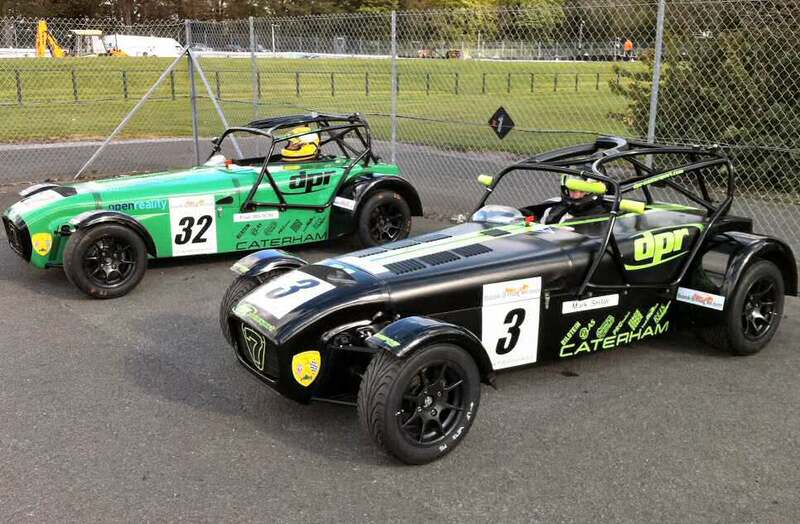 DPR drivers Paul Wilson and Mark Shaw entered the Oulton weekends at 1st and 2nd in the Caterham Superlight R300 championship. Paul Wilson’s double 1st at the first Silverstone round had gained him 50 points against 47 points for Mark Shaw whose score for double 2nd had benefited from a fastest lap. The scene was set by both drivers once again being 1st and 2nd in qualification. Mark Shaw achieved pole with a blistering 1:49.424 followed by Paul Wilson with a 1:49.895. Next placed man Ian Payne with his 1:50.302 was almost a second behind the DPR pole setter. Paul Wilson took the lead for race one and gained 1st despite Shaw’s closing pace including a fastest lap of 1:49.873; a new lap record for the “Flying Scotsman” with a defining margin of 1.5 seconds over the previous. Race two was shortened to 25 minutes but this time Mark Shaw’s gain in pace was timed to enable a pass in the closing stages of the race giving Shaw his first race win for 2012 together with another fastest lap. With both men gaining a 1st & 2nd at Oulton Park, Shaw’s two fastest laps have enabled him to reduce Wilson’s championship lead to just one point going into the next round at Donington Park in May. Supporting the two leaders is DPR Motorsport driver Magd Mohaffel running 4th in the championship.